The results have been posted – CONGRATULATIONS to the winners! Your hard work and dedication has paid off and we are happy to recognize your success in the past year! Stay tuned for details on how to claim your awards, coming soon! Breed award standings will be posted in the coming days. This year’s awards dinner will be held at Don Cuco’s in Moorpark. It will be a buffet style dinner for $30/pp and includes delicious options such as fajitas, enchiladas, burritos, chile verde and all the sides. No host bar is available. SUNDAY, JANUARY 14th at 5:00pm. More details and ticket links will be posted on the website on Wednesday, January 3rd. Hope to see you there!! The future of DASC – is it over? 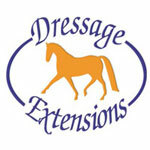 Founded in 1997, the Dressage Association of Southern California has grown from a grass roots organization to a membership body that, in some years, exceeded over 400 members. Geographically, DASC stretches from San Diego to the Central Coast, and even into Nevada. Our membership has been a delightfully diverse with riders of all ages competing successfully from Training Level to Grand Prix. DASC has been committed to fostering the growth and development of its riding membership, providing educational opportunities throughout the year. Our Championship shows welcomed horse and rider combinations of all levels, in many cases providing first-time junior and amateur exhibitors with a friendly, non-threatening introduction to the Championship competition experience. For 20 years, DASC has been operating as a volunteer organization, with the selfless dedication of some pretty impressive people. Much personal sacrifice and tireless energy and enthusiasm has driven DASC over the years to remain a fun, friendly and important component to the southern Californa dressage community. As they say, “It takes a village…” Indeed. Over the past few years, the local dressage sport has changed. For a variety of reasons, the level of participation in shows by amateurs and juniors has dropped off *significantly*. As a result, there has been less interest in memberships to organizations like DASC, that promote competition. With a shrinking membership base, there seems to be a direct correlation to a shrinking *volunteer* base as well. Being an ALL volunteer organization, DASC cannot function without the efforts of those who are willing to give their time and energy to keep the wheels turning. MANY efforts have been raised to find people wanting to step up and take DASC into it’s next 20 years, with a shocking level of apathy from current and former DASC members. It’s because of this, that the current Board of Directors is faced with the unfortunate reality that it is time for DASC to sunset and close this chapter. There have been a few people who have stepped up but unfortunately, a “few” is simply not enough. ARE YOU WILLING to dig in and work to keep DASC going? Not just phone in once a month, but actually organize, administer, and do what it takes to put on a great events? Each Year, the Dressage Association of Southern California presents awards to high performing horse and rider combinations at all levels. Awards are presented at the annual awards dinner, held in January. 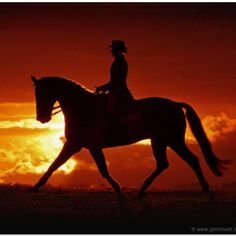 – Horse and rider must be current DASC members in good standing at the time the scores are earned. – Horse and rider combination may earn scores at any test in the level to qualify. – Horse and rider combination may compete in two consecutive levels in any one year, but not skip a level. For example, you could be eligible for awards in 1st and 2nd level, but not 1st and 3rd, in the same year. If more than two levels qualify in a year (ie. 1st, 2nd, and 3rd) then the two highest of the multiple levels will be considered for year end awards. – Intro – 4th Level: Horses must earn six (6) scores from at least two (2) judges – based on the average of qualifying scores. Minimum average score must be 58% to qualify. – FEI Level: Horses must earn three (3) scores from at least two (2) judges – based on the average of qualifying scores. Minimum average score must be 58% to qualify. – Freestyle scores do not count in the year end performance award calculations. This list will be updated as each show requests recognition. If a show is not listed here, it’s possible that it WILL be – please check with the show manager if the show is not listed here and you think it should be. Each year, we ask DASC members to nominate people who they feel deserve special recognition for their efforts in the demanding sport of Dressage. Final determination of winners is done by the DASC Board of Directors based on the number and, more importantly, the quality of nominations. It’s that time of year again! Time to nominate your picks for TRAINER of the Year, STUDENT of the Year, and VOLUNTEER of the Year. Nomination is EASY – just drop an e-mail to us at office@socaldressage.com telling us exactly why you think your nominees deserve this very special recognition. Award recipients will be determined by the quantity AND more importantly, *quality* of submissions. Awards will be presented at the Year End Awards Banquet in January. Dont delay – nominate today!! Deadline for nominations is December 15th! The 2017 membership application is available now on the Membership Information page – Be sure to renew for your horse too! The 2017 membership application is available now on the Membership Information page -you have the option of mailing in a check with your new member application or using our online payment feature for renewals – just go to the Membership Information page and look for the links to the DASC Shop. The 2017 Membership year begins on Dec. 1 through November 30th, 2017. With your paid membership, scores earned during that time will qualify for the 2017 Year End Awards and eligibility in the 2017 DASC Championship Show in September. Remember that both riders *and* horses need to be paid members to be eligible for the Championship Show. Additionally, owners (if different than rider) need to be paid members for their horses to be eligible for Year End awards. Good luck in the coming year, and thanks for being part of the great DASC community!